SINGLE STORY POOL HOME IN THE HEART OF MURRIETA!! TRAVERTINE FLOORING! Four bedroom, two bathroom, with very large Living/Dining Room combo. Upgraded Kitchen with center island cooktop. Family Room off the kitchen with views of the golf course. PLANTATION SHUTTERS THROUGHOUT. Master Suite includes large WALK IN CLOSET and JETTED TUB. Separate 1 and 2 car garages -ideal for storage or workshop. RV - BOAT PARKING ON THE SIDE YARD. Backyard is adjacent to golf course. PEBBLE TECH pool with spa is great for relaxing with friends and family on summer days. RV parking is also a big plus! VERY LOW PROPERTY TAXES AND NO HOA. 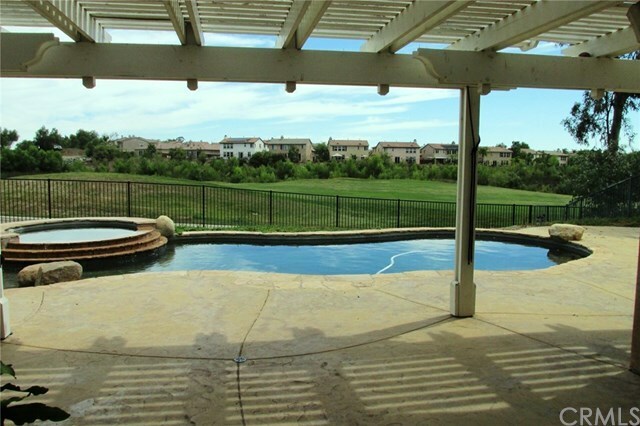 East Murrieta, with easy access to great Murrieta schools, shopping, restaurants, and entertainment. 15 Freeway is ten minutes away. PLEASE CLICK ON THE VIRTUAL TOUR LINK FOR MULTIPLE PHOTOS. Asking $479,900 and worth every penny! !